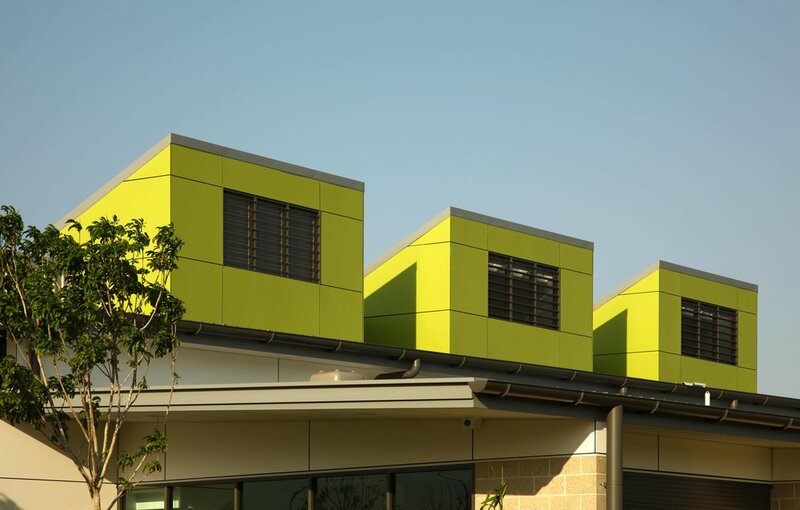 Located in the coastal suburb of Mudjimba next to large sporting fields, the North Shore Community Centre caters for a wide range of community activities and events. 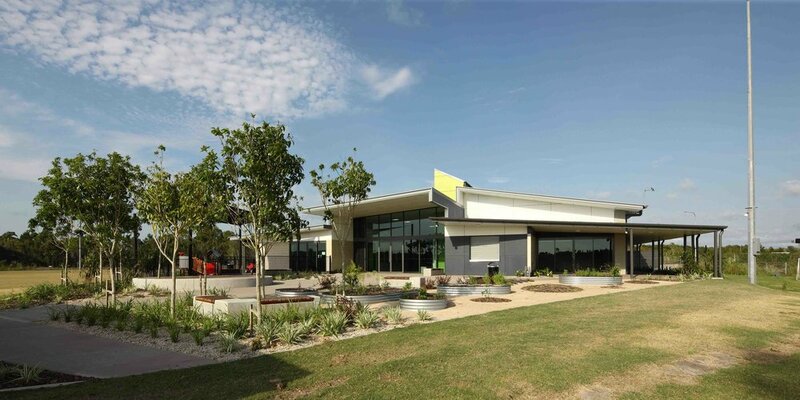 Commissioned by the Sunshine Coast Regional Council, Guymer Bailey Architecture and Guymer Bailey Landscape were tasked with designing a modern, ecologically sustainable facility that would support the Council’s place making policy. The Centre has many sustainable features including three prominent thermal chimneys that provide natural ventilation, glazed main entrances to allow natural light into the internal foyer, as well as solar power and water-sensitive urban design features. The building management system connects to an onsite weather station and has numerous meters monitoring power and water use. This production and usage data is transmitted to the Sunshine Coast Regional Council and displayed internally for visitors to see the sustainable energy applications. One of the key features of the design is an access pathway that forms a spine along the building to connect both the indoor and outdoor community areas. This pathway physically separates the building’s functional spaces into halves with the northern side featuring a hall and catering facilities, and the southern side containing office and ancillary spaces.